Send your belongings to University of Texas at Dallas with My Baggage! 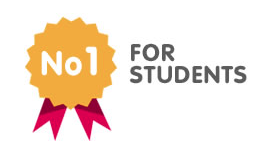 My Baggage is the No.1 student shipping company for University of Texas at Dallas. We provide fast, reliable and affordable student shipping services to UT Dallas for thousands of students every semester. 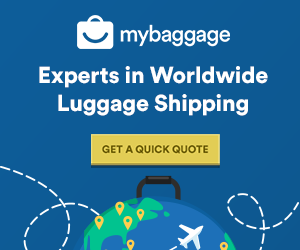 You can save both time and money with My Baggage! The University of Texas at Dallas began as a collection of research stations in a North Texas cotton field. Founded at the dawn of the information age, UT Dallas has since evolved into a national research university. It boasts some impressive stats; it ranks No. 1 in the United States and 21st in the world in 2017 Times Higher Education Young University Rankings of the World’s Most Outstanding Universities under 50 years old. 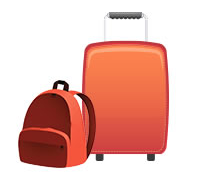 My Baggage makes it easy for you to send your luggage to and from UT Dallas. Our online booking system is easy to navigate, secure and only takes a few short moments to complete. To get started, simply obtain an instant quote from our homepage. Once you’ve booked, we’ll send you through some labels to print and attach to your item. After that, we’ll collect your belongings and deliver them straight to where they need to go. It really is that easy! You’ll be provided with full online tracking information, which will allow you to monitor the progress of your shipment every step of the way. It will update to let you know when your item is out for delivery, so you’ll know exactly when to expect it. You can also opt-in for our SMS and email notifications to keep you up to date, on the go, at all times. If you happen to have any questions or concerns along the way, we have a dedicated customer support team who will be happy to help. Don’t hesitate to contact us! At My Baggage, we do all that we can to ensure your experience of moving to college is one that is as stress-free as possible. That’s why we offer a convenient door-to-door pick-up and delivery service. We can collect straight from your front door! If you are living in dorms on the UT Dallas campus, we will collect from and deliver your items to the main reception area or designated postal room – our drivers aren’t able to access individual dorms for security reasons, so this is the best solution. Be sure to check the whereabouts of these locations with your college directly before you book. At My Baggage, we understand that the very last thing you want when moving to college is to be without your personal belongings for a long period of time. Thankfully, we offer super fast delivery times of approximately 3 working days. We offer Express services domestically and internationally – so you don’t have to be without your items for long. If you are an international student travelling to study at UT Dallas, My Baggage can help you transport your belongings there without any added stress! My Baggage is a much more affordable option than paying for an extra bag on your flight. We ship to over 200 countries worldwide and offer a generous weight limit of 30kg – so you don’t have to leave anything important behind. We can help you get your luggage to your new home at UT Dallas quickly, safely and all at a price you can afford.